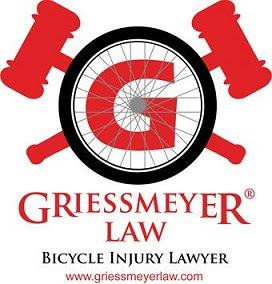 Did you know that in Wisconsin, if you blow a stop sign on a bicycle the minimum and maximum fines are more favorable than if you blow a stop sign in your car? Why is this? Is it because it may be more dangerous for a bicyclist to blow a stop sign and therefore the legislature found that a lesser penalty was needed to deter bicyclists from violating the stop laws? Or is it because a bicyclist is less likely to injure another person if the bicyclist does not make a proper stop? Or is it because bicyclists are better able to hear and see cars approaching and better able to determine whether or not it is "safe" to blow a stop sign (bicyclists do not have the same blind spots as motor vehicle drivers and in general a bicyclist can hear other cars better than a motor vehicle driver because bicycles make less noise and the bicyclist is not confined in a metal box with potentially closed windows? Or is it because the legislature wanted to send a message that bicyclists coming to a full and complete stop at stop signs is not that important and may be leaning towards enacting a rolling stop type law in Wisconsin? 346.46 Vehicles to stop at stop signs and school crossings. (1) Except when directed to proceed by a traffic officer or traffic control signal, every operator of a vehicle approaching an official stop sign at an intersection shall cause such vehicle to stop before entering the intersection and shall yield the right-of-way to other vehicles which have entered or are approaching the intersection upon a highway which is not controlled by an official stop sign or traffic signal. The fine for a motor vehicle driver is minimum $20 and max $40 first offense with a minimum $50 max $100 for second offense in one year. The fine for a Wisconsin bicyclist is maximum $20 with no minimum. See Wis. Stat. 346.49. Some bicyclists feel that the laws and penalties should be the same for all users of the road. They claim that if one group is treated differently, it sends the message that people don't have equal rights and responsibilities. Those of us familiar with newspaper comment sections after a bike vs. motor vehicle collision have all seen the comments from drivers that suggest since many bicyclists don't stop for stop signs, it somehow justifies a motor vehicle driver violating the law and injuring a bicyclist. Would a rolling stop law in Wisconsin take this common argument away from car drivers and potentially make the roads safer for bicyclists by cutting down on road rage and aggressive driving? Or would a rolling stop law create jealousy by motor vehicle drivers and lead to more animosity? My personal view is that bicyclists should be treated differently in certain circumstances. Similar to laws that protect the elderly, it makes sense to treat bicyclists differently from cars in certain situations to enhance safety. The laws will never be exactly the same between all users of the road. For example, there are specific laws that apply to trucks, buses etc. that don't apply to cars. Aside from the stop sign law mentioned above, there is another Wisconsin law provides less penalty for a bicyclist than for other vehicle operators. Wis. Stat. 346.44 requires all vehicles to stop at a signal indicating approach of a train. The penalty for a violation is maximum $1,000 "except that, if the vehicle involved in the violation was a bicycle, the bicycle owner or person may be required to forfeit not more than $40." In a perfect world, common sense and appreciation for others would prevail. Just as a friendly and safe driver slows as he or she passes a park filled with kids playing soccer, the same driver should slow and pay particular attention when he or she sees a bicyclist traveling on the side of the road. Not because the law says so, but because it is the right thing to do as a fellow human being. What do you think? Should bicyclists who fail to properly stop at a stop sign be subject to the same fine as a motor vehicle driver? Should Wisconsin consider a rolling stop law for bicyclists? Should all rules of the road and penalties be the same for all users? I just received a warning from UWPD for rolling through a stop sign at an empty intersection, turning right (with hand signals).